Our Staff From left to right: Helen York (owner), Nathan Schwartz (driver),Barbara Bost (head designer), Christina Ballard (Greenhouse Maintenance)Lisa Dial (secretary/receptionist). 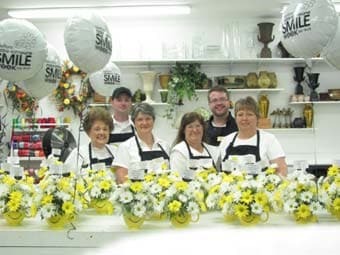 Helen's Florist has been proudly serving Sikeston since 1965. We are family owned and operated with 1 location serving the Scott & New Madrid County area. We are committed to offering only the best in floral design, floral selection, floral longevity, customer service, and prompt delivery. We are the only shop between Memphis and St. Louis that receives their flowers directly from the Flower Farms in Ecuador, Colombia and various countries in South America. This allows us to pass our savings onto our customer, giving them more for their money. 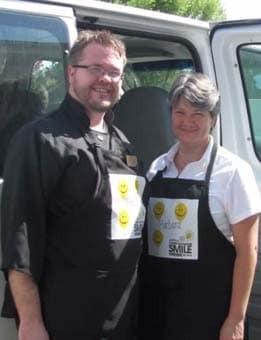 Each and every one of our customers is vital to our shop. Because of this, our talented and friendly staff is always ready to fulfill your every floral need. We encourage you to ask for us by name: Helen York, Lisa Dial, Bertha Joyce, Barbara Bost, and Christina Ballard. 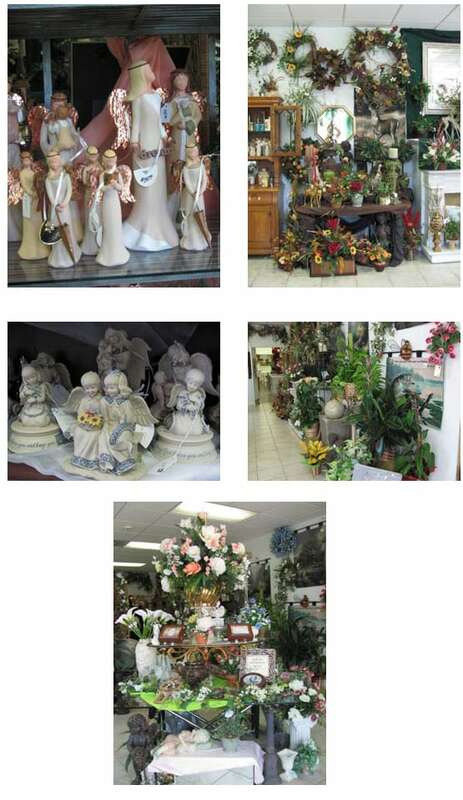 Let Helen's Florist be your first and only choice for flowers. *Our shop is open from 8:00 a.m. to 5:00 p.m., Monday through Friday and from 8:00 a.m. to noon on Saturday. To help assure on-time delivery during the busy holiday season, please place your order 1-4 days in advance of the following major holidays: Thanksgiving Day, Christmas Day, New Year's Day, Valentine's Day, Easter, Administrative Professionals Week, Mother's Day, Memorial Day, Father's Day, Independence Day and Labor Day. ,br> Our shop will always be closed on the following holidays: Thanksgiving Day, Christmas Day, New Year’s Day, Easter, Mother’s Day, Father’s Day, Independence Day and Labor Day. Our shop serves the following areas: Sikeston, Charleston, East Prairie, Benton, New Madrid, Matthews, Canalou, Morehouse, Morley, Benton, Chaffee, Oran, Vanduser, and Bertrand. We deliver to all funeral homes: Nunnelee Funeral Home, Blanchard Funeral Home, Ponder Funeral Home, Amick-Burnett Funeral Home, Williams Funeral Home, and McMikle Funeral Home. We also deliever to the Missouri Delta Medical Center. We will do our best to accommodate deliveries at specific times of day, but we cannot guarantee it on holidays. We are unable to make deliveries on Sundays with the exception of funeral deliveries. Deliveries requested on this day will be delivered the following business day.